Higgledy Flower School 2016. #23. Cerinthe major ‘Purpleascens’. Cerinthe is a very individual chap, quite unlike anything else in the garden. Beautiful, glaucous foliage with sea blue bracts help to make this plant and all round good egg…it’s simple to grow too. Cerinthe is a Hardy Annual, so it can be sown in early Autumn as well as spring. 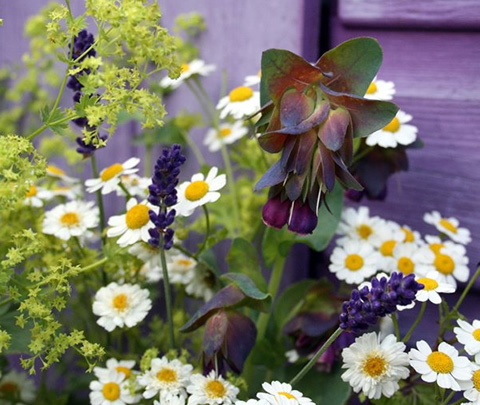 How To Grow Cerinthe major ‘Purpurascens’ From Seed. *Find a sunny spot and prepare your soil to a fine tilth. A free draining site is best. Cerinthe will be OK in partial shade…but to my mind he does better when he is drenched in gallons of lovely sunshine. *Soak your seeds overnight in tepid water, this helps the seedling break out of the tough casing. *I sow direct into the soil in September and again mid April. 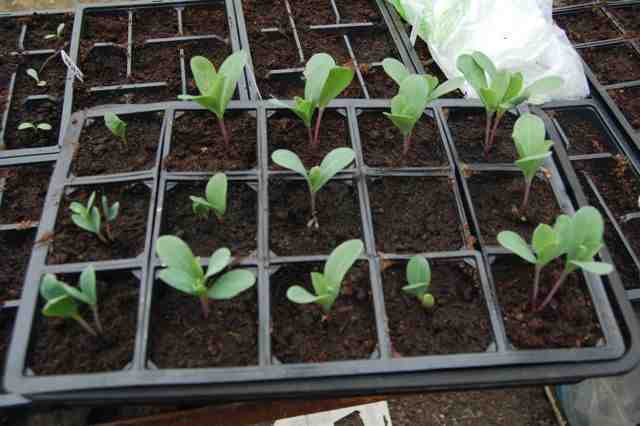 I also sow some in pots in the greenhouse….you can sow earlier undercover…early April. 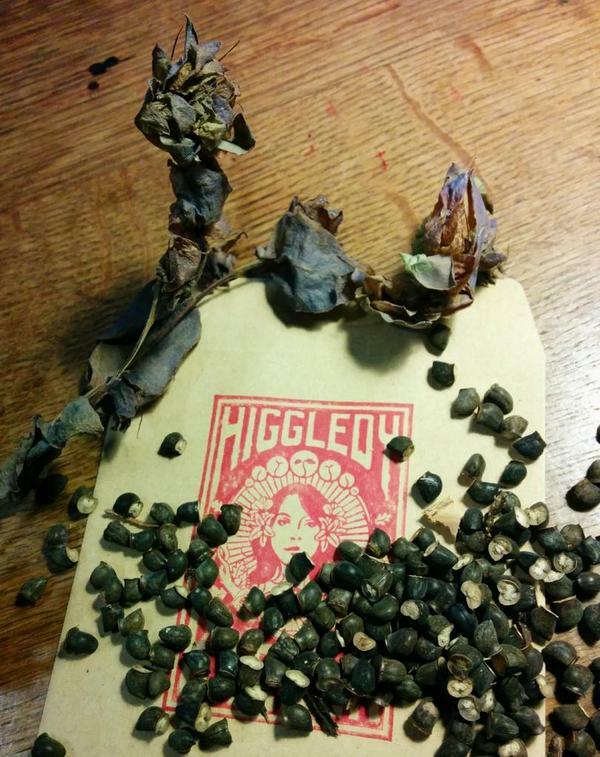 *Cover the seed with about its own width in soil or compost and water gently. *I thin mine to about a foot apart, though I know many other gardeners thin to a foot and a half. 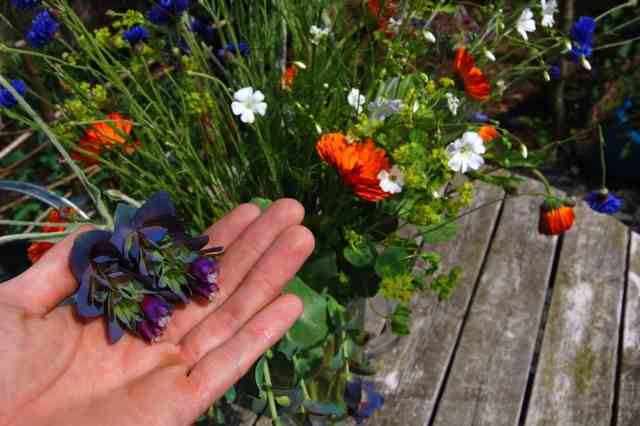 *You will find Cerinthe major to be slug resistant…which this year has been a god send in our slug infested country. *Cerinthe will self seed…so once you have it…it will probably hang around and, indeed, if protected from Jack Frost will survive the winter quite happily….well…down to about minus five. When using Cerinthe for cutting, try it with hot reds like Tithonia ‘Torch’…or deep oranges such as Calendula ‘Indian Prince’. Something with a bit of height will spice things up…Dill ‘Mammoth’ is always a good one…or spires of Larkspur would be dandy too. Sowing Flowers In January. When To Sow Annual Flower Seeds.